farmers are training the next generation of farmers. CRAFT - The Collaborative Regional Alliance for Farmer Training is a farmer-led coalition organized by sustainable agriculture farmers in a self-selected geographic region. Participating farmers offer up their time, talents and experience to help prepare the next generation of farmers. 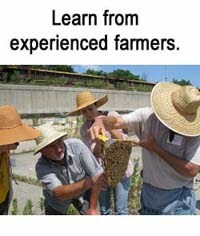 The secret to CRAFT’s success is simple - farmers learn most effectively from other farmers. CRAFT provides farmer-to-farmer learning and access to the social network and culture of local farmers. CRAFT farmer alliances are diverse and may focus on these things: internships, employment, mentoring, field days, technical assistance, workshops, conferences, social gatherings, strategic business planning courses, farm incubators, and more. CRAFT alliances are as diverse as the farmers who shape them and emerge from the character of the region. 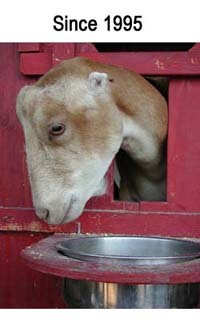 Farmers in CRAFT follow organic, Biodynamic, or other sustainable farming principles. They grow vegetables, livestock, and grains. 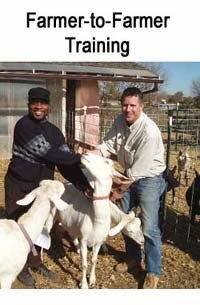 They run community supported agriculture farms and sell to other local direct markets. They sell to restaurants and to wholesale markets. CRAFT welcomes trainees with all levels of experience, whether you've never farmed before, you have significant experience and need advanced training, or you're an established farmer seeking to transition to sustainable agriculture. The first CRAFT program was founded in upstate New York in 1994. In 1997, ten farmers from northern Illinois and southern Wisconsin founded a second CRAFT program in the Upper Midwest. Since then, many more local farmer-led CRAFT alliances have sprouted up across the US and Canada. This farmer-led alliance is growing! See links on the North American CRAFT Programs page (link is on menu towards the top of page) for more info on a CRAFT in your area. If you are part of a CRAFT program that is not on the list and would like to add your CRAFT name and link, please contact CRAFT@learngrowconnect.org. If you’d like to organize a CRAFT program in your area, check out our Start Your Own CRAFT page for more information on how to start a CRAFT program. 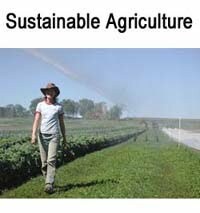 You can also view our manual Best Practices of CRAFT Farmer Alliances in North America for free online. If you want to learn to farm or are a farmer who would like to get involved as a mentor, check out our CRAFT Programs page to get more information in your area. This website was created as a landing pad by Angelic Organics Learning Center and the Upper Midwest CRAFT to encourage the growth of CRAFT farmer-led alliances that train the next generation of farmers. We hope this site will become an active CRAFT Blog in the future. If you have any suggestions for format, functions or content, please send us a note at CRAFT@learngrowconnect.org. We appreciate your comments and feedback. Any questions will be answered here in this post, so please subscribe to email alerts if you want updates on these comments. "The best way to learn farming is to live like a farmer. Let it soak into your pores and fill your senses. Let it seduce you. That's a season on a CRAFT farm." "It's incredibly satisfying to see something completely through from seed to harvest and sale, selling your own things that you've grown yourself... it's really wonderful and very fulfilling."